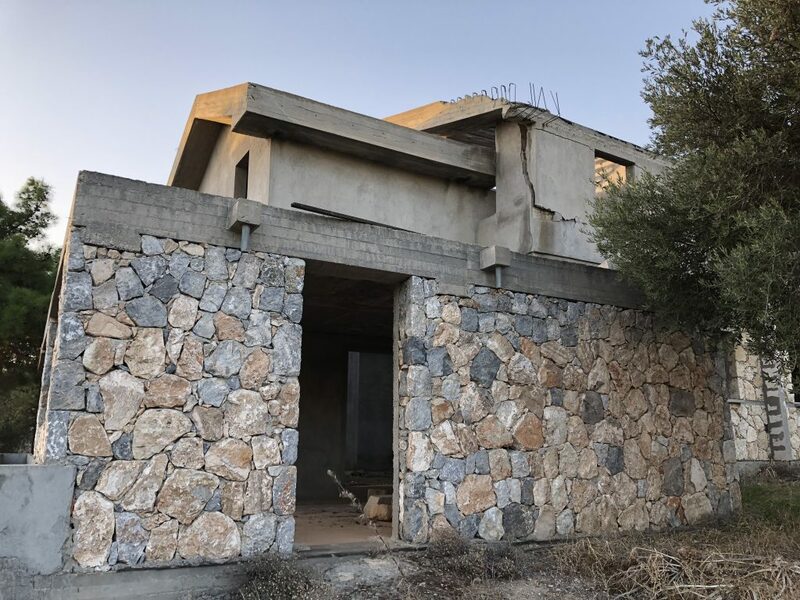 A British Turkish Cypriot is preparing for the next round of a 17-year long property saga that has cost him around £100,000 – with a further £75,000 needed if he wants to see his “dream holiday home” completed. The latest phase of a legal battle launched by Bulent Osman is scheduled to kick off on Monday, 1 April, when a two-day hearing will take place at Girne District Court in the Turkish Republic of Northern Cyprus (TRNC), T-VINE can reveal. 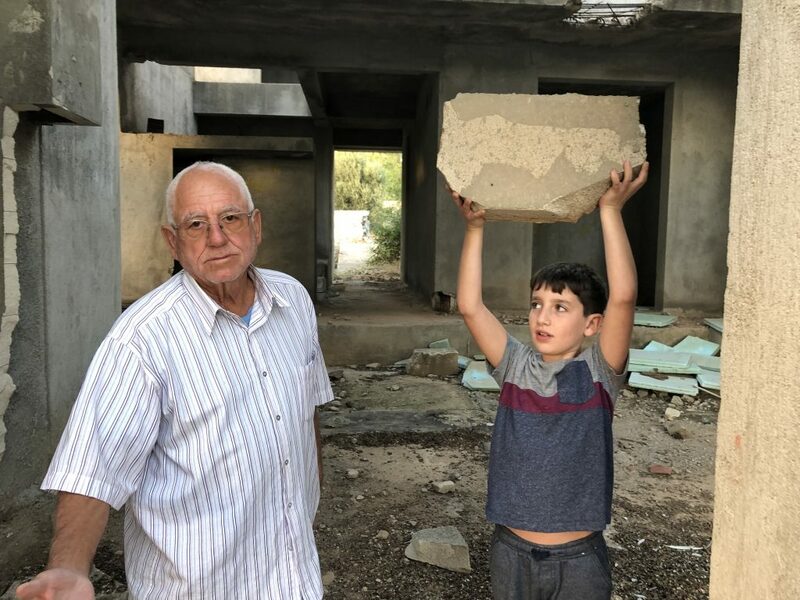 London-born Mr Osman and his TRNC-based father Orhan Dizliklioğlu (pictured above at the dilapidated property with his grandson), who has power of attorney, are suing architect Yücem Erönen, civil engineer Hasan Akça, and builders Ali and Ahmet Arı, over a dispute relating to an unfinished property in Boğaz, Girne, that Mr Osman purchased for £52,000 in 2002. 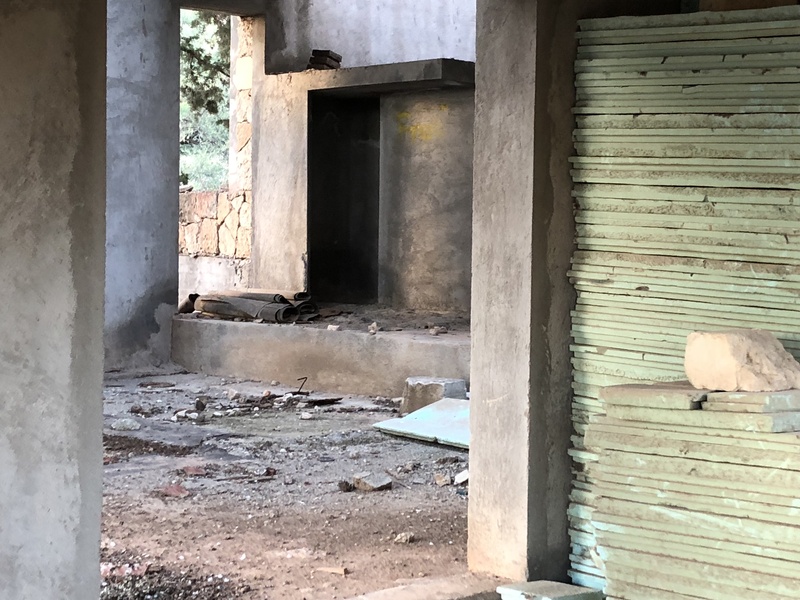 Mr Osman’s plans to complete the building and use it as a “home from home” for his family and friends when in North Cyprus turned into a nightmare following the partial collapse of the structure four years later. “At the time of purchase the property comprised of a foundation, wall construction and first floor,” he told T-VINE. 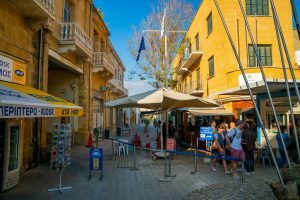 Mr Osman, who works in finance, said that Mr Erönen, of Erönen Architects, who had worked on the original plans, had recommended that he continue working on the property to save Mr Osman “time and money” as he had “already submitted and received planning permission to develop the land”. “We didn’t know Mr Erönen or his firm before this contact and would not have used him but for his prior involvement with the property,” Mr Osman, 48, said. According to Mr Osman, Mr Erönen – a former head of the Union of the Chambers of Cyprus Turkish Engineers and Architects (KTMMOB) – offered to project manage the completion of the construction, including recruiting and supervising his own team. The team consisted of Mr Akça, Ali and Ahmet Arı and roofer Ahmet Mişon. The agreement was captured in a project plan and contract supplied by Mr Erönen in October 2003, with the work due to be completed in 2004, Mr Osman explained. “Although it was not signed off by either party, witnesses were present when the deal was struck,” he stressed, adding that he had “adhered to its terms by making the agreed payment instalments”. Mr Osman made the first payment – for £500 – in July 2003, when “minor amendments” to the plans were agreed. “Some work was executed” and Mr Osman paid a further £9,500 to Mr Erönen “of which £8,000 was for the builders and £1,500 for himself”. That was followed by another payment of £12,000 for “works and materials” – bringing the total outlay at that point to £22,000. By May 2004 there had been little activity on the construction site, however, and what work had been done was of “very poor quality” with “nothing done to plan” according to Mr Osman. The building project was hit by further delays that year when Mr Mişon had to take time off following the tragic death of his adult son. On 18 April, 2005, Mr Osman and his father found themselves the subject of legal proceedings when Mr Mişon sought payment for his work, despite his agreement being solely with Mr Erönen. That case was closed in June 2010 after a court found in favour of Mr Osman. Mr Dizliklioğlu, a retired British Telecom engineer now living in the North Cyprus village of Çatalköy, tried to “remedy the poor roof work” on behalf of his son “but it was not possible”. “The walls and roof were so badly constructed, that the building partially collapsed in June 2006,” Mr Osman said. 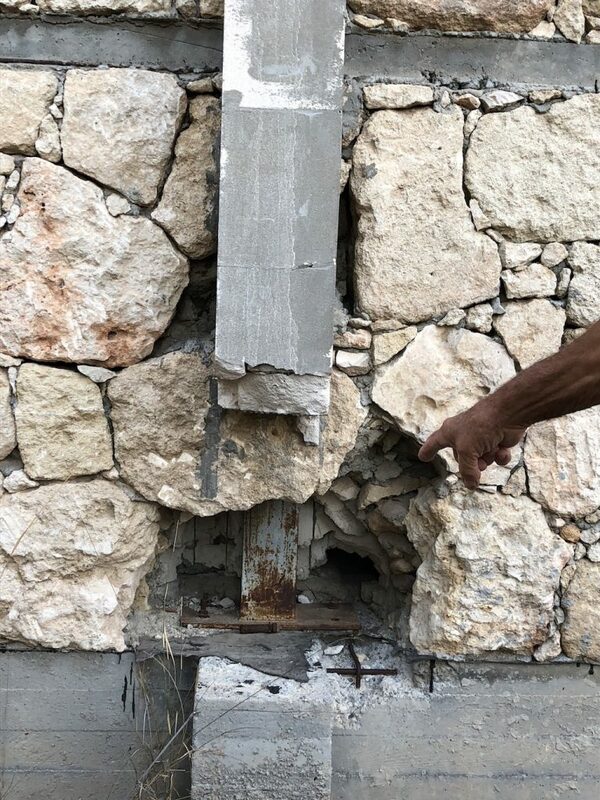 Experts from Eastern Mediterranean University’s Civil Engineering Department and the KTMMOB were called in to carry out separate assessments of the crumbling structure following the incident, in 2006 and 2012 respectively. Problems identified by the KTMMOB included use of the “wrong materials”, “deficient and poor construction methods” and the failure to adhere to building regulations. “The partly collapsed building is plagued with cracks, and the structure’s build is insufficient to bear the weight of the floor and roof above,” it concluded. The 2012 KTMMOB report was produced after Mr Osman and Mr Dizliklioğlu launched legal action in December 2011 against Mr Erönen, Mr Akça, and Ali and Ahmet Arı. Despite its damning findings, Mr Erönen is still listed as a KTMMOB member on its website. He challenged some of the claims, telling KTMMOB inspectors that he was instructed by Mr Osman’s father to use “cheaper materials”. 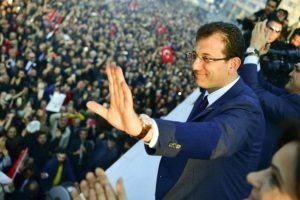 “[Mr Erönen’s] professional membership has not been suspended or rescinded,” Mr Osman pointed out. But after more than seven years Mr Osman and his family are still waiting for a verdict having thrown more cash at a string of “poor lawyers” who have “taken fees yet failed to deliver on agreed services”. The family now fears that the court case could be dismissed for being “out of time”. “To date, there have been 160 hearings, costing [us] £25,000 in legal costs,” Mr Osman continued. “[We have made] complaints to . . . the Barolar Birliği [Bar Association], but these have not been addressed nor have there been any repercussions for the lawyers, who appear to owe no duty of care to their clients. Mr Osman added that “leading” Turkish Cypriot lawyers declined to take up his case because of a “conflict of interest”, citing that they were “family friends” of Mr Erönen’s wife Gönül Erönen – a former TRNC Supreme Court judge. He also referred to “lots of anomalies in the court hearings”, citing an occasion when a “Girne-based judge dismissed an expert report” submitted by Mr Dizliklioğlu on the grounds that “Mr Erönen was from a reputable family of good standing”. “Even though there was a clear conflict of interest, the judge never declared it before and still made a biased ruling, later overturned by a higher court,” Mr Osman said. Mr Osman says that if he loses his compensation claim, he would have to find another £75,000 to “remedy the property and bring it to the standard initially envisaged in the project plans” based on quotes from two construction companies he received at the end of 2018.